Getting organized NOW will mean less time in the house searching for sandals, sunscreen, and water toys and more time out enjoying the magic of summer. Check out these 5 ways to organize your home for summer before it starts! If your dream for summer is to spend it enjoying relaxation, vacation, and extra time with your kids, then now is the time to start getting ready. As soon as your kids are out of school and the warm weather hits you’re going to have your hands full! Getting organized NOW will mean less time in the house searching for sandals, sunscreen, and water toys and more time out enjoying the magic of summer. Check out these 5 ways to organize your home for summer before it starts! Summer tends to hit us hard and fast once the kids get out of school. Take some time now to create your summer calendar. Add your vacations, your kids’ sports activities or summer camps, family reunions or parties, any fairs or events you want to attend. Then take a look at the calendar. If you’re like most moms it already looks pretty full and summer hasn’t even started yet! Setting up your summer calendar ahead of time will help you feel more prepared. And it will keep events from sneaking up on you. You can also take this opportunity to schedule your family some free days. Summer is supposed to be relaxing! Leave space in your calendar for lazy summer days and spur of the moment fun. Place your summer calendar somewhere it’s visible to the whole family. This allows everyone in the home to be in the loop on what is happening this summer. Organize your home for summer by making room for summer essentials. Now is a great time to stock up on sunscreen, aloe vera, bug repellent, and first aid supplies. Do you have enough beach towels? Life jackets for everyone? Swimsuits? Not only do you want to have these things on hand before summer is in full swing, but you want to have a place to put them. In my home, I have a cupboard in the entryway with a basket for hats and mittens in the winter and sunscreen and sun hats in the summer. Now is the time to make the switch. A summer car kit or tote bag is also a useful way to organize for summer. Extra towels, sunscreen, first aid supplies, and snacks for summer outings can be organized and ready to go in advance. Consider a bin in your car or a tote near the door. Keep it packed and ready for when you have summer plans. Winter stuff takes up so much room! In many homes, if you want to organize your home for summer there are some items that will need to be packed away. Winter items taking up space in your entry, dresser, or even your garage may need to be moved and stored. If you have the ability to pack up and store winter clothes in vacuum bags or an out of the way closet it can be helpful in creating space for your summer clothes. Winter coats, boots, and sports equipment should also be packed away and stored if possible. While you pack your winter things away make sure to declutter and toss or donate anything that you no longer use. Don’t waste valuable storage space on things you no longer need! Your garage will probably need some organizing. Swapping out snow blowers, snow shovels, and other winter equipment with lawn mowers and trimmers is something best done before summer begins. With any luck, bringing out your patio furniture will open up enough space for winter equipment to be pushed to the back of your shed or garage. 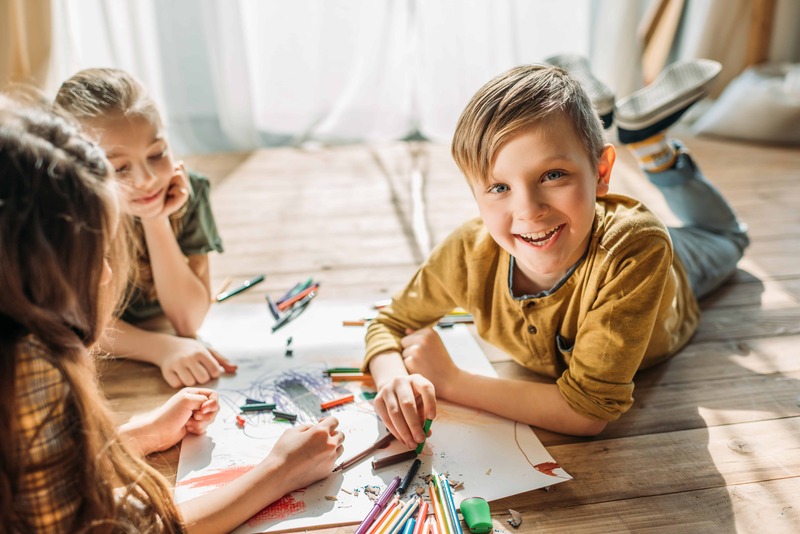 If your kids will be at home during the summer, now is a good time to organize your home to accommodate their summer needs. Perhaps you want to set up a chore chart or checklist for summer. Things for your kids to do each day or week to contribute to the running of the household. Talk to your kids now about your expectations for summer. Will it be sleeping until noon, movies all day, and snacks from morning until night? 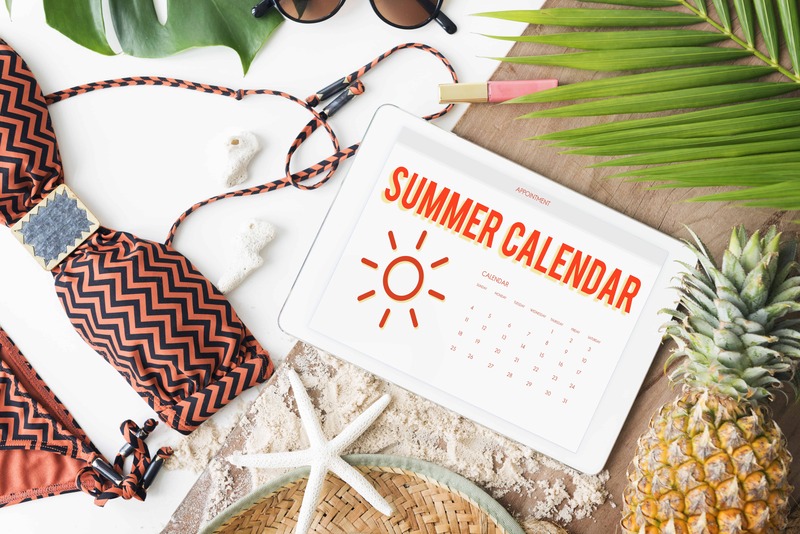 Or do you want to set up a schedule and some expectations for summer days? Talking about it now can save some arguments later. Organizing a craft closet or kids activity area for the days when boredom sets in is something many moms find useful. It can be a bin or drawer with activity books, craft supplies, or simple games to keep kids busy. I like to stock up on mess-free crafts before summer. These usually involve stickers or painting with water or other things kids can do without mom being too involved. Then I organize these in our craft drawer for my kids to pick from when I start hearing the phrase “I’m bored”. For me, it doesn’t feel like summer until the patio furniture has been set up. 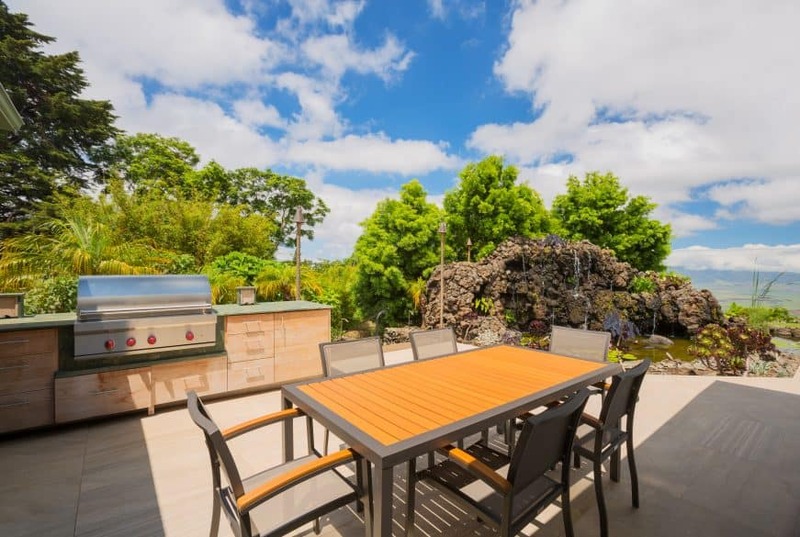 Now is a great time to clean up your deck or patio, wash your tablecloths, and start setting up your outdoor space for summer. If you’re still dealing with lingering rain and don’t want to get everything out quite yet, at least begin the process. Check the condition of your outdoor furniture. Do things need to be washed or replaced? Or is everything ready to go? Take care of scrubbing and cleaning now so you can get out there and enjoy the sun as soon as it appears! As you organize your home for summer, don’t forget your barbeque! Now is a good time to deep clean your grill. And to make sure it still works so you’re ready for barbeque season!